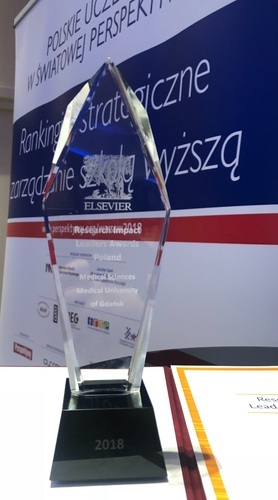 The Medical University of Gdańsk won the ELSEVIER Research Impact Leaders Award 2018 in the field of health and medical sciences. 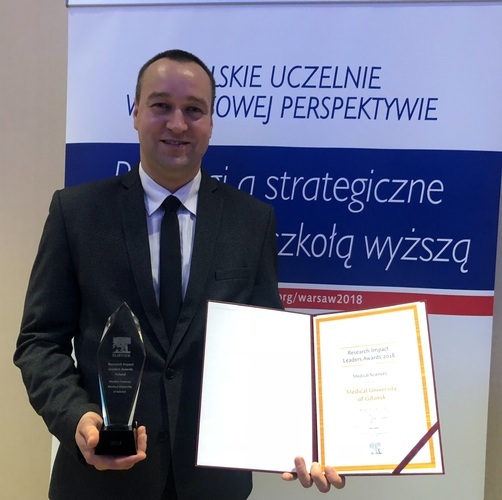 The award was collected by prof. Tomasz Bączek, the Vice-Rector for Science. 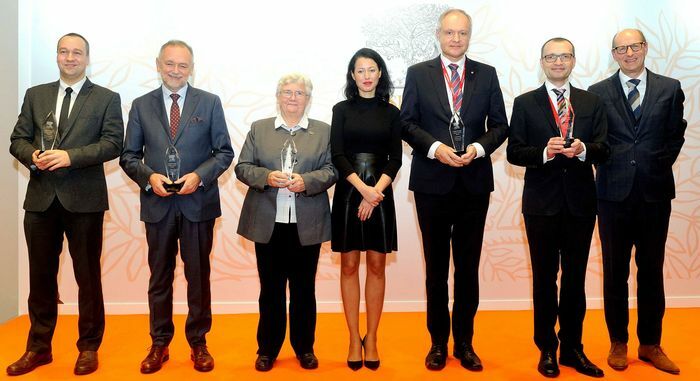 The ceremony took place on 3th of December during the conference “Polish universities in the world perspective. Rankings and management of higher education”. 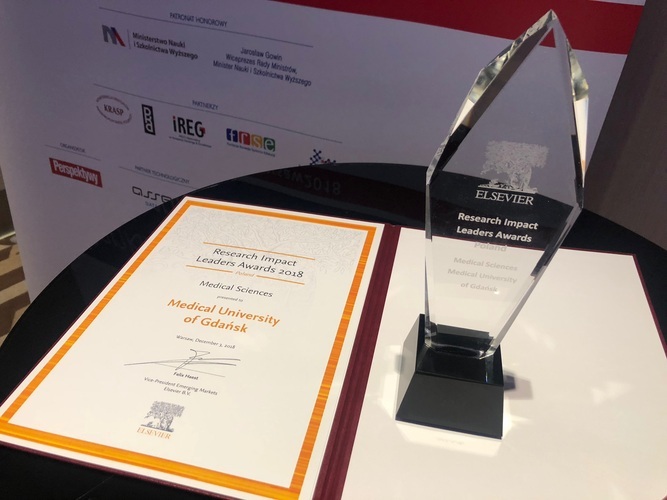 The ELSEVIER Research Impact Leadership Award has been given since 2016. Its intention is to promote high quality research and internationalization. The criteria was: an increase in the number of publications in scientific leading journals, publications with the participation of foreign coauthors and the citations index in the relevant field.